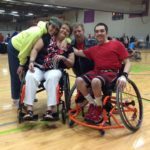 Have you ever considered participating in a Wheelchair Marathon? Wheelchair marathon is a style of wheelchair racing which usually takes place on open roads and runs in conjunction with some of the major marathons that take place over the world throughout the year, i.e. the London marathon. I’ve personally participated in a couple of marathons, both as an individual participant and as a disabled individual who was assisted throughout the race. The assisted races were when I was much younger, which meant I was unable to complete the race unaided and these races were also for what is known as a ‘half marathon’, which is simply half the distance of a regular marathon. Usually, marathons are 26.2 miles long and so a half marathon is 13.1 miles. In my early twenties I then went on to complete a couple of half marathons as well as one full marathon – however, I unfortunately did not have a specially designed wheelchair which often accompanies such a feat and instead I just used my regular every day wheelchair. Racing of any sort is intense, and marathons are by no means exempt from any amount of gruelling struggle. The rewards of completing a marathon are very personal, as it’s not exactly a team event, but they’re captivating and motivating enough to keep people coming back to the sport, time and time again. 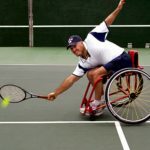 It goes without saying that a wheelchair marathon is an extremely challenging thing and one which is wonderful for keeping an individual fit and healthy. The physicality involved with completing a race, and the hours upon hours of dedicated training that go hand in hand with preparing for a marathon are simply insane. Those that take the sport seriously can often be seen waking up at the crack of dawn and pushing mile after mile just to facilitate their training regime. As will anything that’s sport related, it helps if you’ve got the right kit to ensure you’re able to complete any physical exercise to the best of your ability. 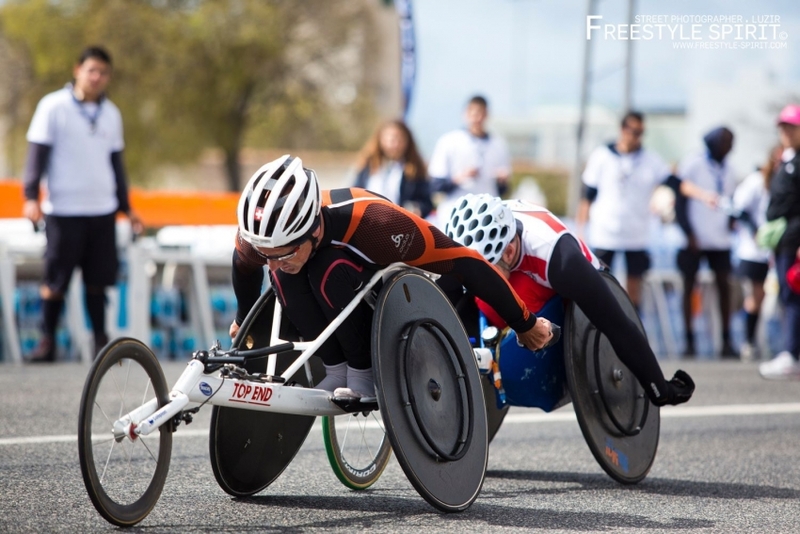 Wheelchair racing and wheelchair marathons are no different in the respect of needing to ensure you’ve got all the equipment you need. 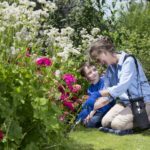 Generally speaking, the wheelchairs that are used for wheelchair marathons are designed a lot differently to wheelchairs that are used for other areas of life. 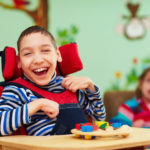 With that, the shape is usually much longer in frame and with one wheel cast out to the front of the wheelchair and two inverted wheels (much like a basketball sports chair) at the rear of the chair – from which the user can self propel. 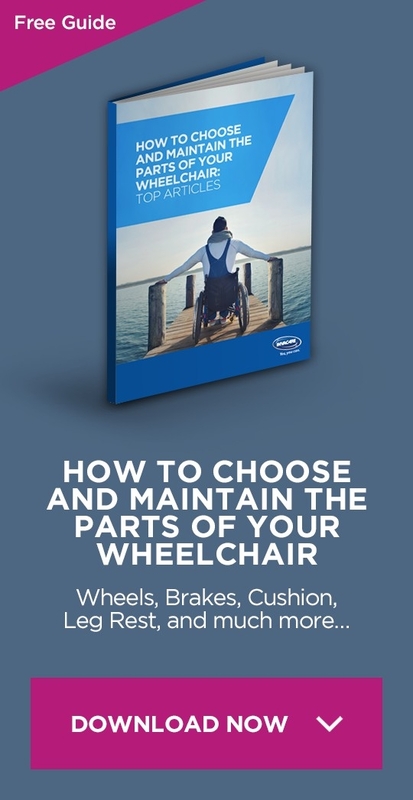 Through the Top End brand you can find a wide range of sports chairs to suit every possible need – and so too do they have a great selection of racing wheelchairs which are just perfect for completing marathons in. When selecting racing wheelchairs you’re then given the opportunity to gage what level you’re at, ranging from beginner to advanced. Within the beginner sphere, for example, there is the Eliminator OSR Racing Wheelchair which allows those that are new to the sport to ‘find their feet’ for want of a better phrase. The Eliminator gives the user the opportunity to sit with their feet facing forwards and eventually gives the user the chance to race in the traditional stance of kneeling. Having the best of both worlds on offer make this chair a brilliant starting racing wheelchair for new people coming into the sport. With many racing chairs to choose from, the best way to find what you’re looking for is just to browse through the Top End website.